Promotional memo pad and sticky note set with pen – blue (measuring 5 7/8” and offering capitalization area of 3 ½” x 4 ¾” )- makes a preferred gifting choice for advertisers working in constrained budget conditions because it is affordable and offers high value against investment. 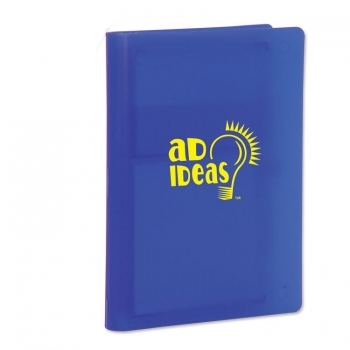 A custom memo pad and sticky note set with pen – blue can be handed out during promotional events or some family, social or community events by newbie advertisers. Sticky notes can be affixed over monitors or kitchen cabinets as a reminder and memo pads can be favored at home and office for scribbling some thoughts. Personalized memo pad and sticky note set with pen- blue will be easily accepted and retained in most homes, offices and schools – because it helps them to express themselves uniquely.